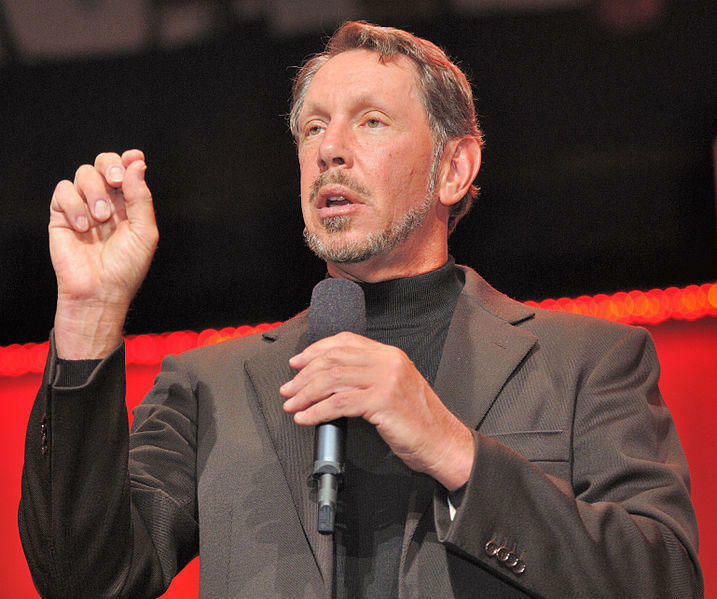 Oracle CEO Larry Ellison has stepped down from his chief executive role in the company, Oracle announced Thursday. The executive will be replaced by Safra Catz and Mark Hurd and both will serve under the CEO title. Service, sales and global business units will report to Mark Hurd, the company said, while manufacturing, finance and legal functions will fall under Safra Catz' management. Ellison will stay on as the chairman of the board and the company's chief technology officer. "Larry has made it very clear that he wants to keep working full time and focus his energy on product engineering, technology development and strategy," said the current presiding director of Oracle's board Dr. Michael Boskin. "The Directors are thrilled that the best senior executive team in the industry will continue to move the company forward into a bright future." It's not immediately clear why Ellison is relinquishing his role, save for what's available in the company's release, but CNBC surmises shareholders may have been upset with his personal compensation package amid slowing growth.